Have you enjoyed the recent festive period? Were you able to spend time with friends, family and loved ones? If so, you are now likely to be ready to start the new year off on the right foot. Unfortunately, waste removal is often a very real concern during this time period. 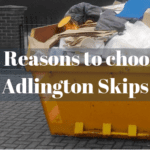 Why should you deal with rubbish sooner as opposed to later and how Adlington Skip Hire and Lostock Skip Hire can help with this decidedly challenging task? The answers to these questions may indeed surprise you! Waste as a result of a small renovation or a cleaning project during the break. In any of thee instances, knowing how to tackle such debris can be a bit confusing. We should also never forget that such items will not simply go away on their own. 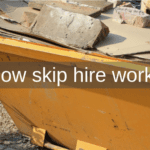 As opposed to waiting until you are once again immersed in your daily work schedule, why not choose our professional skip hire services today? A bit of preparation can go a long way! We mentioned your schedule in the last section and this topic should be discussed in greater depth. It is no secret that the post-holiday season is frequently associated with higher workloads and decidedly busy schedules. This will make it even more difficult to address the concept of waste disposal in any detail.  Adlington Skip Hire or other Skip Hire companies located within surrounding areas such as Bolton Skip Hire, are here when needed the most. Our drivers are punctual and knowledgeable of the entire region. We will therefore arrive at any location when it is most appropriate for the client. These are some of the most common examples of what our team deals with on a daily basis. 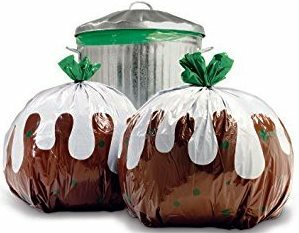 If you are looking to get a jump on office operations in 2017, there is no better time than the present to utilise our waste removal services. Many property owners are planning to modify their homes during the spring when temperatures and the weather are more accommodating. This is the primary reason why it is prudent to choose our skip hire services in advance. You can plan your tasks when times are the most convenient and due to our flexible schedule, our skips will arrive only when you desire. 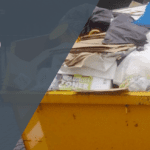 Cleaning out a garage, disposing of items within a conservatory or removing boxes of old clothes from a loft are only a few examples of the issues which can be tackled by our skips. Christmas has unfortunately come and gone. We will soon be returning to our normal schedules. So, why not utilise our services now as opposed to later? Whether you desire a miniature skip for a one-off task or your office needs a larger unit to dispose of a great deal of rubbish, our company is only a phone call away.